Yakima Valley Apples, what a recipe for happiness! Success is in the Orchard, as these are the best tasting apples around. Nothing can beat a Yakima Valley Apple. Farmers use the best scientific research to arrive at these beautiful red apples. Growing fruit is both an art and an science and it helps if you have fertile soil and a mellow climate. Yakima, Washington is blessed with all the above. Apples grow abundantly in Yakima! An apple a day is sure bliss. What have you done for your heart today? Take a break, and go pick some apples. You will be glad you did! 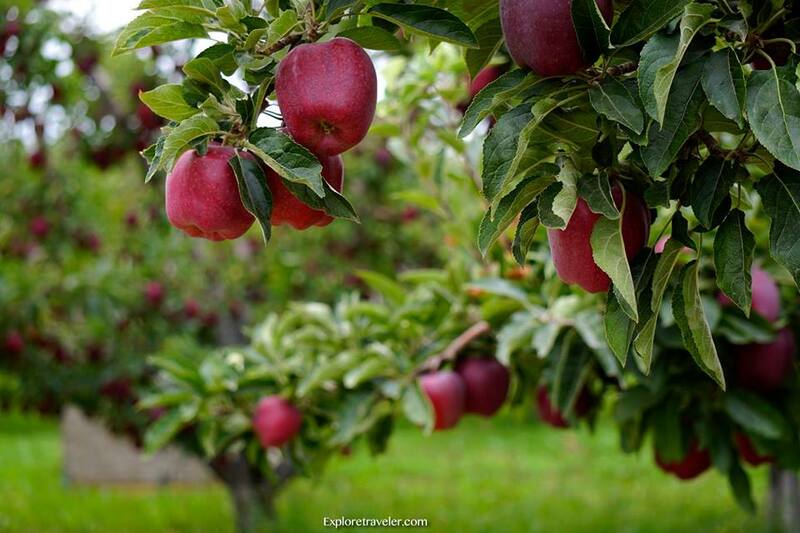 When was the last time you walked through an apple orchard? Did you smell the sweet aroma of the apples! The apple orchard smells like a little piece of heaven! Is this paradise on earth? Apples are hard workers! Did you know that they cleaned the teeth? An apple a day brings a beautiful smile. Need to loose a few pounds? Have an apple a day! It is so full of fiber that you begin to feel full. What a fantastic advantage! Have you had your apple today? Grab an apple and help your immune system soar! An apple a day, keeps the hospital away! Nutrition experts tell us to eat something from at least 5 color groups a day. You can eat a yellow apple, a green apple, and a red apple and never leave the orchard. Now that is exciting news! Apples are one of the greatest blessings in the orchard. Amazing what you can do to help your body! You can eat to drop a few pounds! Now that is a double blessing. You have lost a little weight, helped your heart, and boosted your immune system. Whatever you do, get your apple for breakfast! I even enjoy an apple with lunch. It is a very effective health benefit. The amazing apple just keeps giving! Apples are one of the most versatile fruits around. I love to cook wild rice with onion, fresh ginger, leeks, garlic, and mushrooms. When done, add a curry sauce and heat through. That is an excellent time to cut a small apple in small pieces and add to the curry. What an absolutely awesome way to get a few apples. You can even add a few diced almonds to the rice at the end. Make sure the almonds and apples are cut small. It is a delicious way to get your daily apple fix. Your morning apple is a must. Look no farther than the miraculous smoothie. You can make almost any smoothie you want and just at the end, core an apple and add. Apples put the finishing touches on almost any smoothie. What an amazing way to get another apple! Cinnamon and cloves are excellent with apples and great additions to the smoothie. Three of my favorite things. I love to take apples, pears, a few grapes, and some cherry juice and spring water. Blend good and add cinnamon and cloves. What bliss! Looking for a Northwest vacation? Take a trip to the apple orchard! Enjoy the fresh Washington air. Breath in the lovely apple aroma of the orchard. And of course, pick a few apples to eat during the day. Fall is the perfect time to visit the orchard! Yakima has a small airport, with buses and trains close by as well. It is just a short drive from Spokane. Spend the day in paradise! Enjoy an apple vacation today. You will be glad you did. See you in the Orchard!